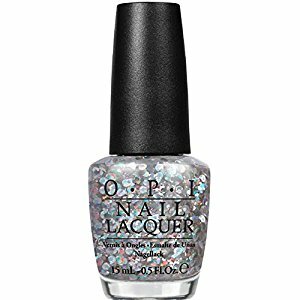 OPI Nail Polish, I Snow You Love Me, HLE16, .50 fl. oz. Large holographic glitter particles in a clear base. OPI Mariah Carey Holiday Collection.